Nautical by Nature: How to store & display headbands! Woah that is a lot of headbands! I love the idea of using a vase to store headbands. It looks so pretty that way. Also, I have that same pink and green whale frame from your last picture! These are such great ideas! I put my headbands on pictures frames on my dresser. 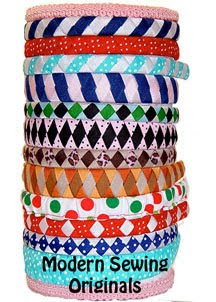 Your headbands are so organized! Mine are thrown in a basket in the bathroom cabinet and sometimes I forget I have certain ones. You have such a great collection! You have quite a collection. A friend hangs her headbands as art in her bathroom. She used little nails and just hooks the individual headbands on each one. I love the idea of using a vase! I'm totally going to do that!